If you didn’t participate in Talk Like a Pirate Day, then you are missing out on some great fun, not to mention free Krispy Kreme! Dressing up on this date and going to Krispy Kreme has become a tradition in the last few years. This shows that people will do whatever it takes to get some free doughnuts. If you are still looking to go out later tonight, remember that you must have three items from the following list to receive your free dozen glazed doughnuts. 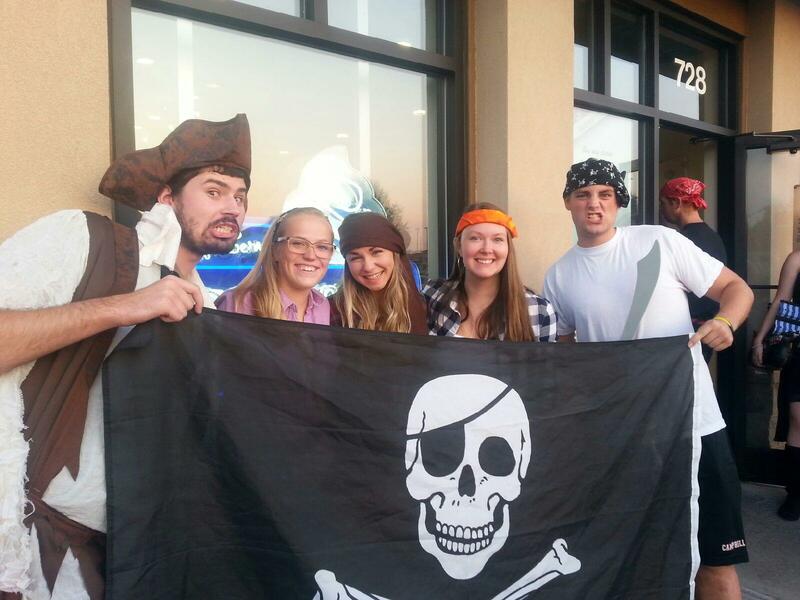 If you aren’t willing to go out in public dressed like a pirate, don’t fret. You can simply talk like a pirate and get one free glazed doughnut. If you went and got doughnuts today, share your pictures with us by using @cupineburr. We will re-post Campbell students in their pirate attire on Instagram!